I finally get a little stash relief, with a finish this week! The last border for Freedom Rings was sewn in place last night. 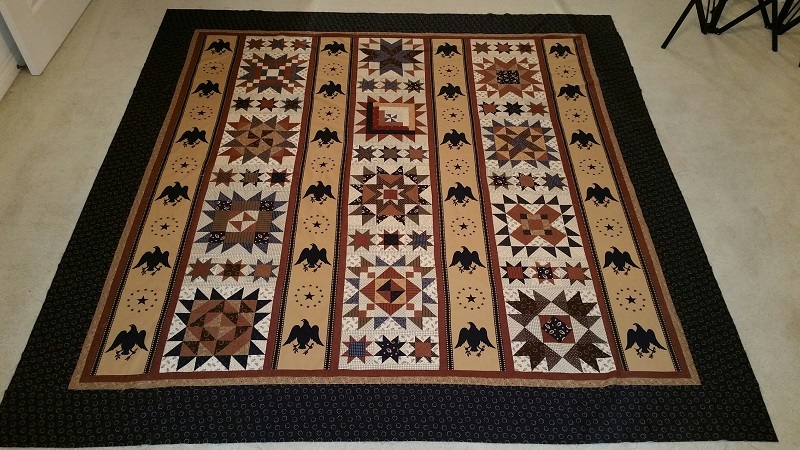 This quilt is by Paula Barnes and was a block of the month in 2012. 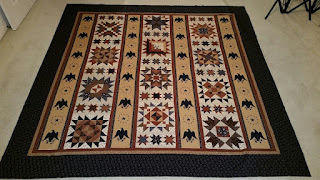 It is one of three block of the month quilts that I hope to finish this year. I enjoyed making all the star blocks and most of them were pretty easy. Used this week: 18.0 yards. Net Fabric Used YTD: 13.0 yards. Excellent! I'm close on mine too. Not certain about the two different red sashing/inner borders.